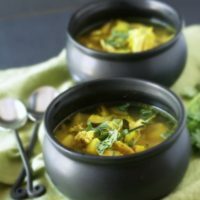 Tumeric chicken soup is an amazing cold and flu busting bowl of comfort food. 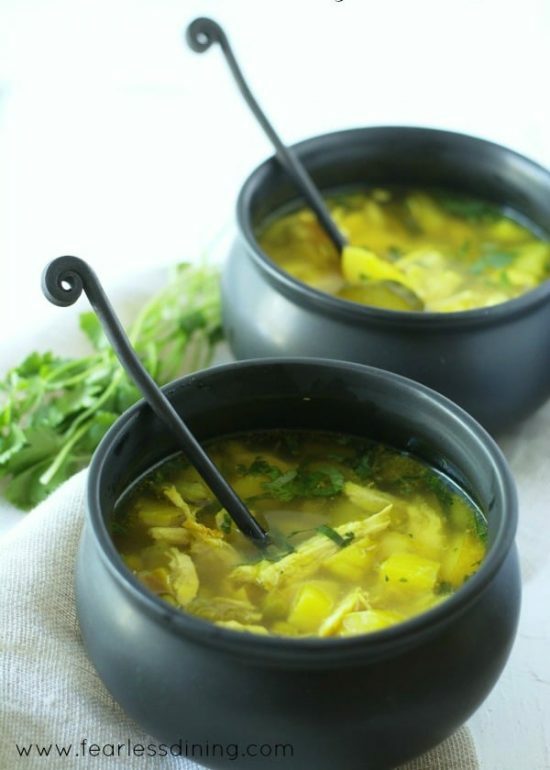 Once you taste it, you will fall in love with this delicious gluten free chicken soup! When you see the ingredients in this clean eating turmeric chicken soup recipe, you are going to think I am crazy. 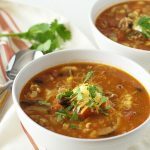 Make this easy soup recipe and check out all of my homemade chicken soup recipes to take you through the cold and flu season. If you are suffering from a cold or the flu, you will also want to try my grandmother’s homemade chicken soup recipe! It is Jewish penicillin for the soul. I love using turmeric in my recipes. This cold busting chicken soup recipe is full of nutrients and is a natural anti-inflammatory. Turmeric will stain your fingers, clothes, etc. I found that out when I made these turmeric chicken wings. They stained my baking sheet bright yellow! Lately, with all of the sports injuries the guys in our family have had lately, we could really use any help we can get. My son is growing so fast, his ligaments aren’t keeping up with his bone growth and he is pulling a lot of muscles. His achilles, IT band, elbows, and knees. He is starting to get frustrated because he can’t play sports a lot of the time. He starts another round of physical therapy, so I am hopeful he can get back to the thing he loves. I love to make a big pot full of turmeric chicken soup during cold and flu season. This homemade chicken soup freezes well too, so be prepared this winter! I really don’t know what I was thinking when I tossed random ingredients into the pot, but this turmeric chicken soup recipe turned out really, really good. Paleo, gluten-free, and dairy free. It has lots of turmeric chicken flavors. You can add rice or noodles, or just enjoy it without carbs. The first thing you will notice is the almost “neon” yellow color of this gluten free chicken soup. My son almost wouldn’t eat it because of this. After a few minutes, I finally did convince him to give it a try. After two bowls, he declared this recipe a success:-). 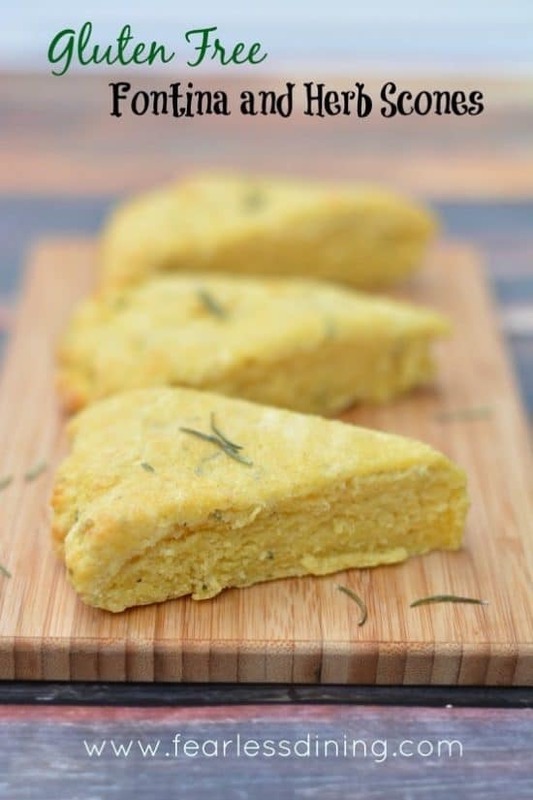 Gluten Free Fontina Cheese Herb Scones are a delicious gluten free option to serve with the soup. A big soup pot. Go ahead and make big vats of soup so that I can freeze some for other meals. Easy chicken shredder. I used to use two forks, but these make shredding meat so much faster and easier! 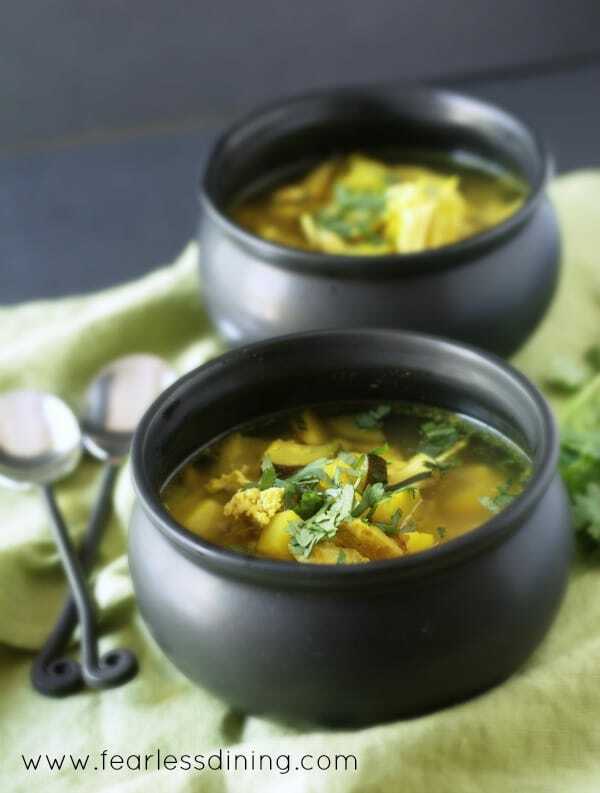 Turmeric chicken soup is an amazing cold and flu busting, clean eating comfort food. You will fall in love with this delicious gluten free chicken vegetable soup! Add onion and cook 3 minutes. Add other vegetables and cook 5 minutes until they soften. Add raw chicken breasts, water, broth, and spices. Once boiling, reduce heat to medium low and cook until the chicken breasts are done. Remove the chicken and with two forks, shred the chicken. Return the chicken shreds to the pot and simmer for 10 minutes so the flavors soak into the chicken. 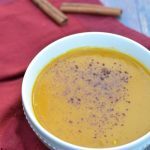 Here are More Yummy Soup Recipes to Try! 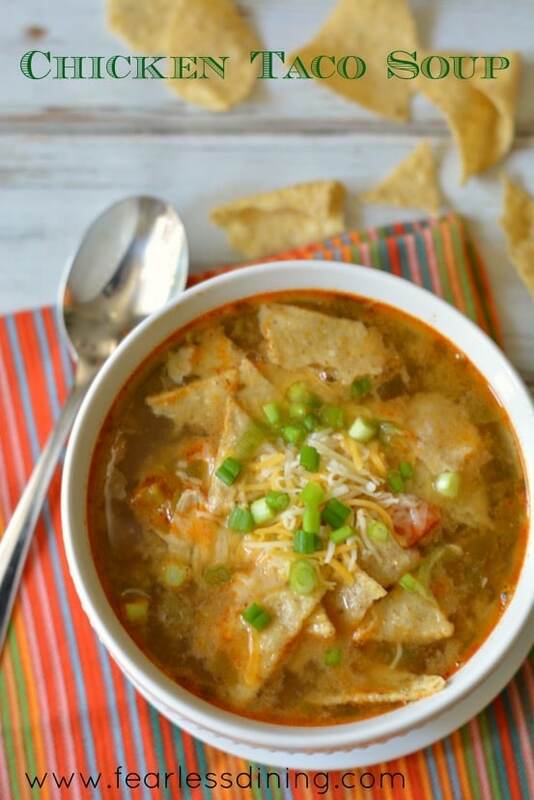 If you love soup, this Shredded Chicken Taco Soup is another quick and easy meal. It is soup time and this makes me so happy! I love everything about this soup! I have been trying to add more turmeric to my diet ever since I read an article about how it can be as effective as ibuprofen when it comes to its anti-inflammatory properties. I messed up my back in an accident a few years ago and am trying to add more turmeric to my diet so I can cut back on my daily pain medicine. So I am going to have to try your soup. Thanks for sharing! I didn’t know it could be as effective Jen, thank you for mentioning that. I hope your back feels better, that must be really hard.